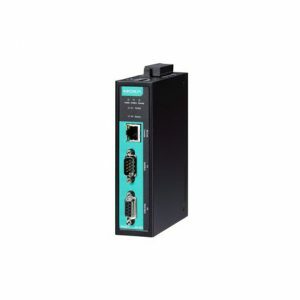 MGate 4101-MB-PBS series products connect Modbus and PROFIBUS devices to provide PLCs (e.g. Siemens S400 and S300 PLCs) with remote maintenance capability. All models are ruggedly constructed with metal design, are DIN-rail mountable, and offer optional built-in optical isolation for serial signals. The QuickLink windows utilities makes configuration and operation of the MGate 4101-MB-PBS as easy as possible. The utility uses a serial console port to connect MGate 4101-MB-PBS unit. The QuickLink function can help you finish configuration in just few minutes by performing automatic commands detection and automatic memory mapping. 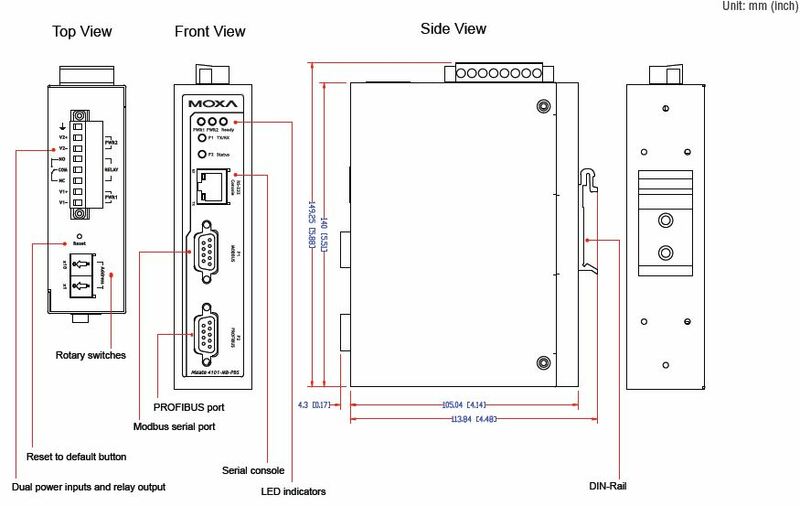 In addition, an embedded monitoring tool can record all communication packets of Modbus devices and and assist in troubleshooting. The MGate 4101-MB-PBS has dual power inputs for greater reliability. The power inputs allow simultaneous connections to two live DC power sources, so that continuous operation is provided even if one power source fails. The higher level of reliability makes these advanced Modbus-to-PROFIBUS gateways ideal for demanding industrial applications.